The trio’s arrival returns the orbiting laboratory’s population to six, including three NASA astronauts. McClain, Saint-Jacques and Kononenko are scheduled to remain aboard the station until June, while Hague, Koch and Ovchinin are set to return to Earth early this fall. Three resupply spacecraft – a Russian Progress, Northrop Grumman Cygnus and SpaceX Dragon – are scheduled to arrive with additional supplies for the crew and various science investigations. The crew also is scheduled to be onboard during test flights of NASA’s Commercial Crew Program, which will return human spaceflight launches for space station missions to U.S. soil. For more than 18 years, humans have lived and worked continuously aboard the station, advancing scientific knowledge and demonstrating new technologies, making research breakthroughs not possible on Earth that will enable long-duration human and robotic exploration into deep space, including the Moon and Mars. A global endeavor, 236 people from 18 countries have visited the unique microgravity laboratory that has hosted more than 2,500 investigations from researchers in 106 countries. Investigations conducted on the International Space Station impact the daily lives of people on Earth and prepare the way for humans to venture farther into space. I love NASA and it Programme of Space and Science and special all Astronauts. Which you all times success. Veit Schwiertz , have 8 Groups Astronomy and Astrophysics of Amateurs . so happy to see that they made it safe! god bless keep up the great work up…or…down there. 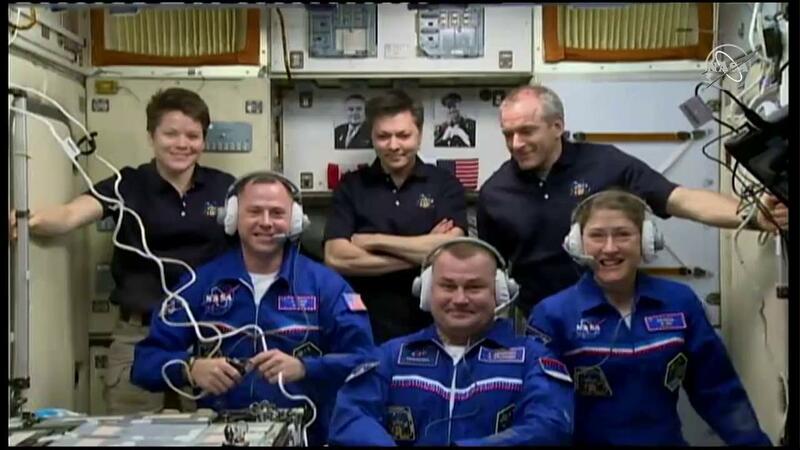 Congratulations and Welcome Home Expedition 59-60!!! !